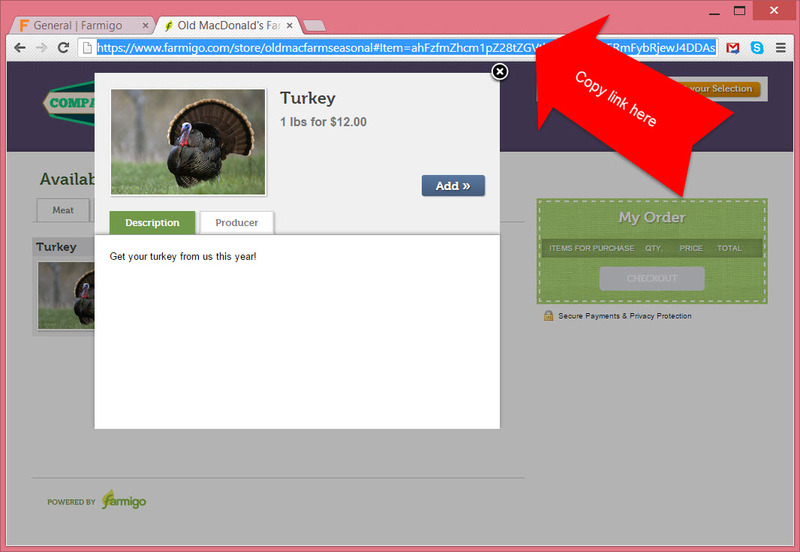 How do I promote specific items in the web store? 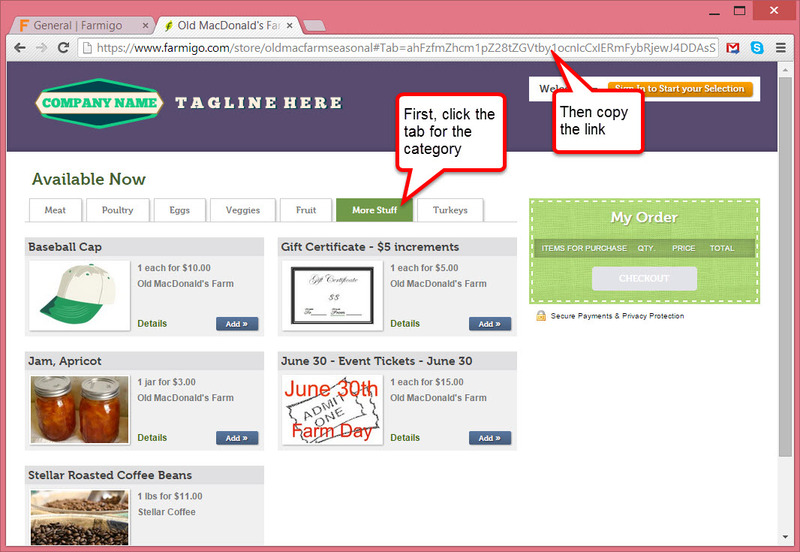 In addition to the general link to your Farmigo web store, there are links to specific items and categories in the web store. You can use these links to promote specific items and categories with your members. How do I find the link for a store item? How do I find the link to a specific category? What can I do with this link?